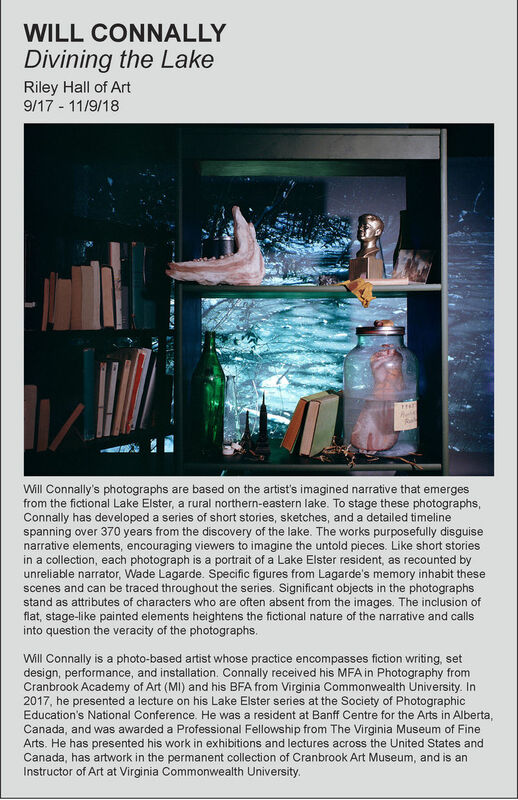 The Photography Gallery at Riley Hall is proud to announce Divining the Lake – an exhibition of photographs by Will Connally. The exhibition is open now and will run until November 9, 2018. The Photography Gallery is located on the 2nd floor in Riley Hall.